The Suffolk Show has published its equine schedule for the 182nd Suffolk Show to be held at Trinity Park, Ipswich, on May 29th and 30th this year. There are 326 equine and farriery classes to enter, with seven show jumping classes totalling about £20,000 in prize money. The International Trial on the first day and International Stairway supported by the British Showjumping Business Partnership is expected to attracted strong entry levels on the second. The same horse and rider winner of both competitions held in the Grand Ring will win a car sponsored by Turner’s Hyundai which has been won twice since it was first offered about five years ago. 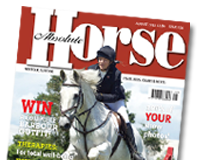 The Show will once again host the prestigious Horse of the Year Show qualifiers in the Working Hunter Pony and Mountain and Moorland Working Hunter Pony section, as well as the Royal International Horse Show qualifiers for Ridden Hunters, Working Hunters, Hacks, Cobs and Riding Horses, Ridden Skewbald and Piebald, Ridden Ponies and Show Hunter Ponies.